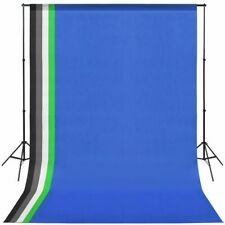 The Collapsible Background is a White & Black double-sided background. It allows you to eliminate backgrounds for the creation of composite images of both large and small objects thanks to its 1.5m (W) x 2m (L) size. The tab on its side allows the background to be hung in many places adapting itself perfectly to the needs of your photo shoot.The background folds down to 1/3 of its actual size and fits neatly into the included carry bag which provides for practical transportation and storage keep your studio clutter-free at all times when it is not in use.The double-riveted frame makes it extremely durable and the 100% highest quality cotton material used in the manufacturing process of which will certainly not disappoint you.Features and SpecificationsWhite . 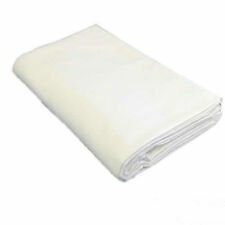 Items will be sent folded.So there may be creases(see picture). You are able to deal with it by yourself. Here are ways to solve it:1) Roll it up tightly with a cylinder for 3-4 days, it will be ok.2) Heat it with a steam iron on the back of item, then it will be smooth again.This item is a scenic brand new computer-printed 5x7ft background.It is light enough not to be a hassle (especially if you are working on location), yet durable enough to last and get the job done right!It can be drapped or hung straight easily!It is great for all types of photography: family, children, high school seniors, bridal, models, or even commercial work.Its thickness will be almost the same as paper on magazine.Items will be light and portable, which makes it easy to be hung up. 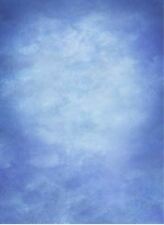 (Size: 150x220cm (5x7ft). This lightweight fabric will give you the intense vivid color that you have been looking for in a backdrop. 2) Carefully iron the back of item starting with lower temperature gradually raising it till you find the right one. Size: 150x220cm (5x7ft). This lightweight fabric will give you the intense vivid color that you have been looking for in a backdrop. It is light enough not to be a hassle, yet durable enough to last and get the job done right! Size: 150x220cm (5x7ft). This lightweight fabric will give you the intense vivid color that you have been looking for in a backdrop. Material: Polyester (thin woven fabric). It is light enough not to be a hassle, yet durable enough to last and get the job done right! Size: 150x220cm (5x7ft). This lightweight fabric will give you the intense vivid color that you have been looking for in a backdrop. There's no pocket on its top. Material: Polyester (thin woven fabric). Size: 150x220cm (5x7ft). This lightweight fabric will give you the intense vivid color that you have been looking for in a backdrop. Material: Polyester (thin woven fabric). item may have color difference from the picture shown. This lightweight fabric will give you the intense vivid color that you have been looking for in a backdrop. It is light enough not to be a hassle, yet durable enough to last and get the job done right! Size: 220x150cm (5x7ft). This lightweight fabric will give you the intense vivid color that you have been looking for in a backdrop. It is light enough not to be a hassle, yet durable enough to last and get the job done right! Simply hang the gorgeous rose gold backdrop at your venue and use as a lovely background for photos! Bestehend aus zwei stabilen 3-teiligen Aluminium Stativen Höhe ausgezogen werden können. Am obere ende der Stative wird die Querstange für den Hintergrund eingesetzt und mit je einer Flügelschraube befestigt. 1 x Photography Background. For photography, parties, bars, etc Material: Vinyl. Style: wood floors, flowers, floor-to-ceiling windows and curtains;. Stereo sense is strong. So there may be creases. You should deal with it by yourself. Here are ways to solve it:1) Roll it up tightly with a cylinder for 3-4 days, it will be ok.2) Heat it with a steam iron on the back of item, then it will be smooth again. 3) Stretch it and clamp it to a back drop stand for 3-4 days, it also works. 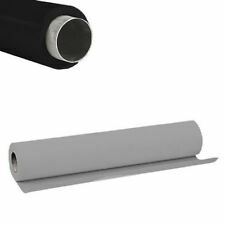 Width: 10ft(300cm) Length: 10ft(300cm)Note: Its thickness will be almost the same as paper on magazine.Items will be light and portable, which makes it easy to be hung up on background support.Attention: This is a 10x10ft backdrop. Material we use is thin vinyl. 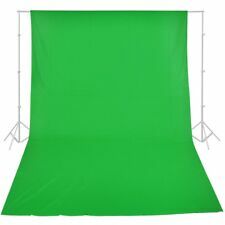 Iis an 10x10ft backdrop that is not seamless and there’s no pocket on its top.Package Contents: 1 x Photography BackdropNote: Light shooting and different displays may cause the color of the it. 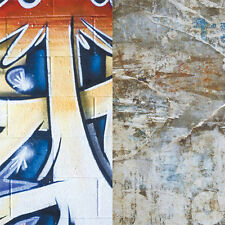 (Size: 220x150cm (5x7ft). This lightweight fabric will give you the intense vivid color that you have been looking for in a backdrop. 2) Carefully iron the back of item starting with lower temperature gradually raising it till you find the right one. 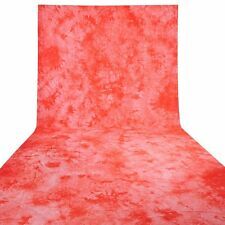 Lastolite 5x6' Collapsible Background LL LB56FM - FLORIDA/MAINE - NEW OLD STOCK!